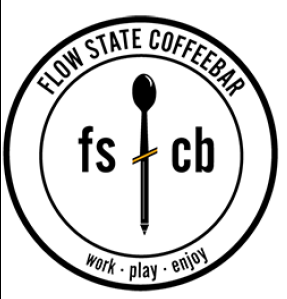 Flow State provides a comfortable space for the modern workforce, offering a relaxing and friendly atmosphere to all who stop in. Keep ideas fueled and brimming with a fresh cup of premium coffee or tea, and keep your belly full with housemade breakfast items, panini, pastries and the best gelato in Philly. Come work with us! Designed with the coworker in mind, you'll find plentiful outlets, a standing work bar, a communal table, small and large tables for groups, and a "chef's nook" for those who crave a quieter space. The large front window, viewable kitchen, and a 440 sq ft mural popping with color give the space a bright and energized vibe. Our work packages include everything you'll need to get work done! Choose from several different packages, such as the Work Flow, which includes unlimited drip coffee, a pastry, and three hours of wifi, or the All Damn Day, which includes unlimited drip, plus breakfast or a pastry, lunch, gelato, and Wifi from open til close. *See our website for all package options. Parking available on Frankford and on Trenton.